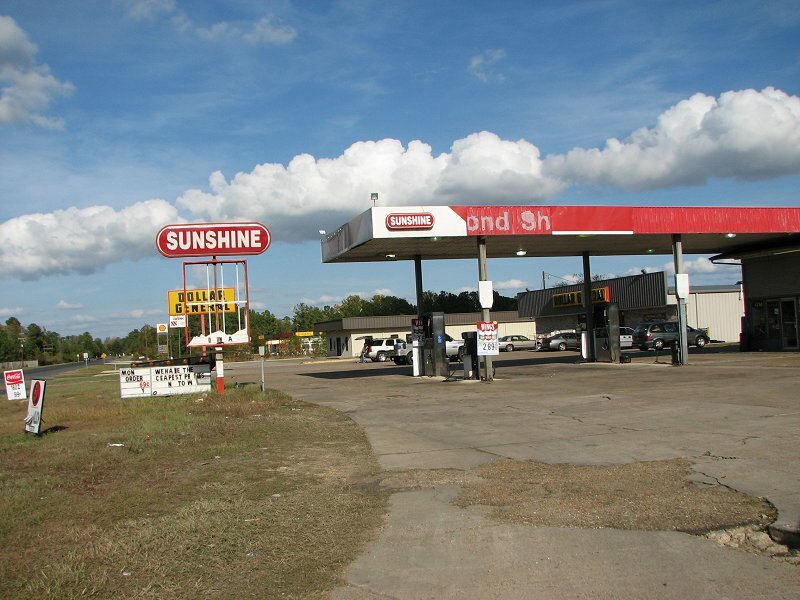 Sunshine station in Merryville, Louisiana on US 190. Taken Nov. 21, 2010 by David Backlin. 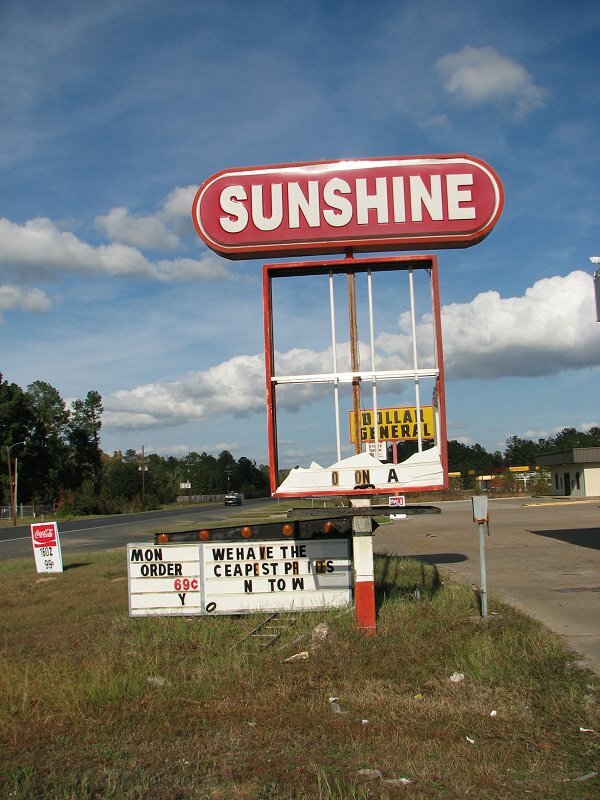 Shot of the sign at the Merryville, Louisiana location. Nov. 21, 2010. 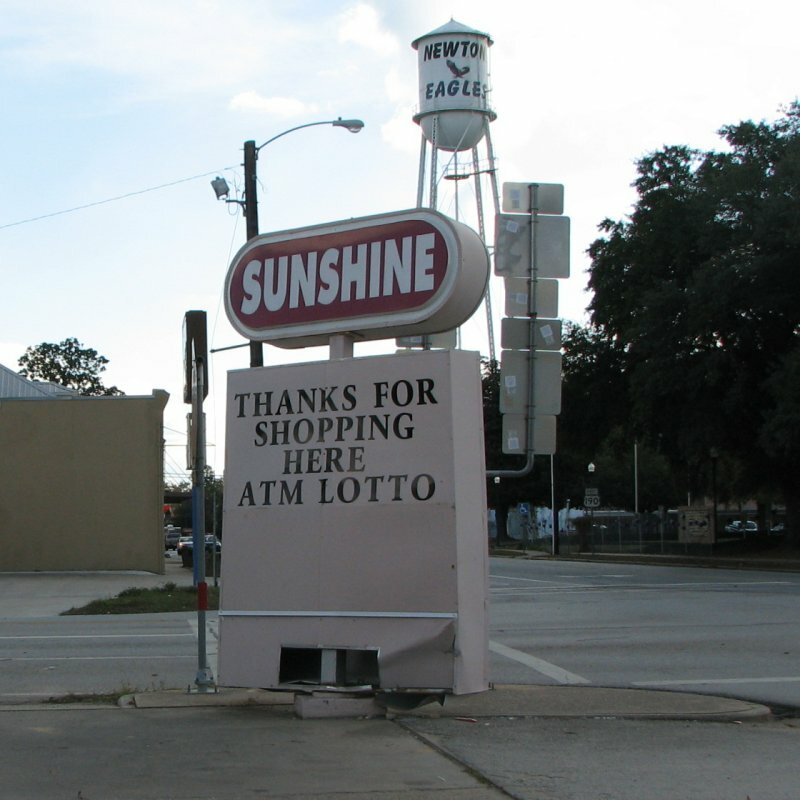 Sunshine sign in Newton, Texas. Court Street at Rusk (US 190). Photo taken Nov. 21, 2010 by David Backlin. 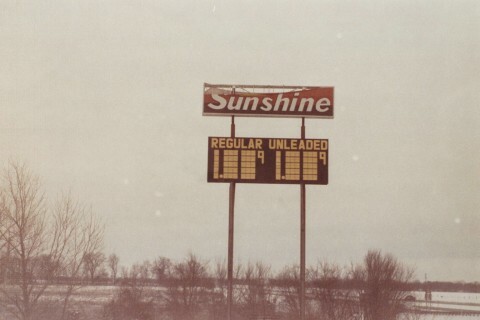 Sunshine sign, I-44 SE of Carthage, MO. on the northeast corner of the interchange. Only the sign remains. The station is long gone. Photo taken Dec. 2002 by David Backlin. but on the N.E. corner of the interchange.